The DAILY.PROBIOTIC is manufactured in the USA to GMP and ISO standards at an NSF certified facility. The DAILY.PROBIOTIC is inherently vegan- friendly and vegetarian because the probiotic cultures are not derived from dairy sources. The DAILY.PROBIOTIC is common allergen free. Packaging recycling depends on your location and can be checked with your local waste-disposal authority. 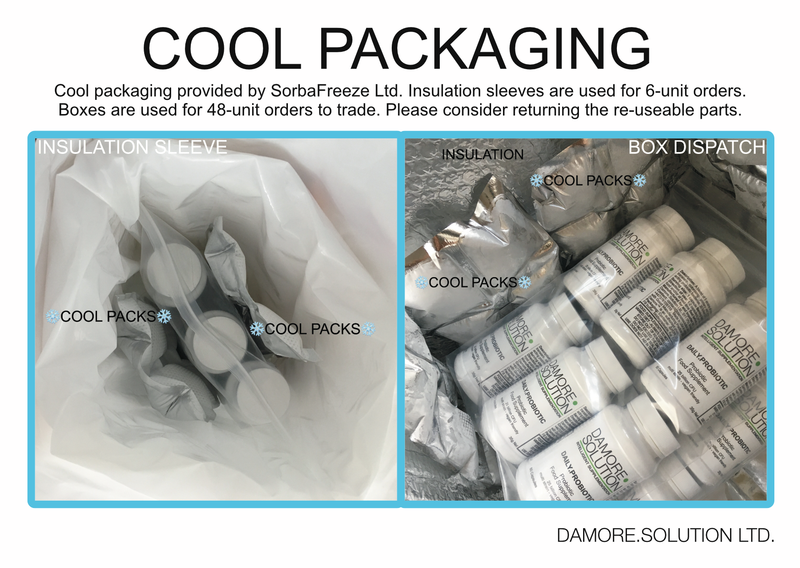 The indications for recycling are as per each individual supplier of each packaging compound, using the internationally recognised symbols on the label for your reference. As per the Consumer Terms & Conditions, all dispatches occur on Tuesday or Wednesday with an appropriate cut-off. From dispatch any order will generally reach destination within 72 hours. Should your desired product(s) be out of stock partially or fully, fulfilment can take up to a precautionary 28 days, usually less. 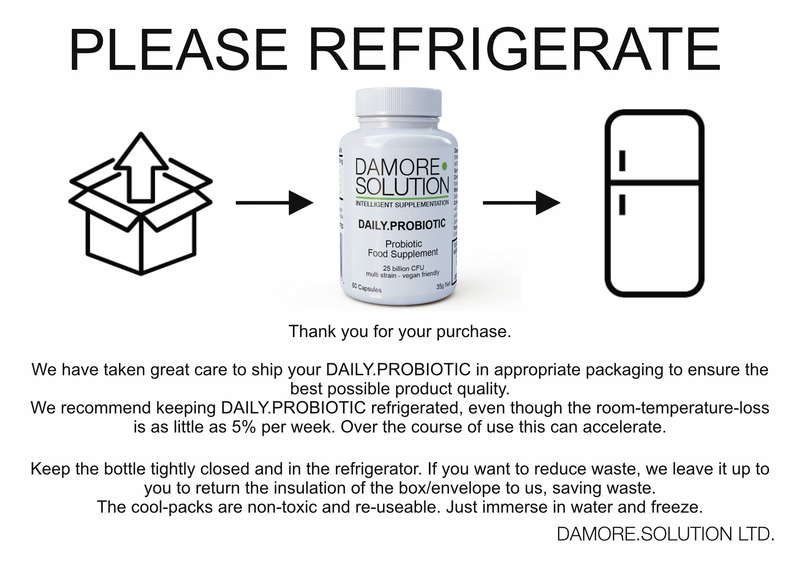 All Damore.Solution products are a fluid stock, so overlaps between batches and stock-levels can occur. The upside is that you always have the freshest possible product. The DAILY.PROBIOTIC is available as a single (1) unit or in a pack of six (6). The single- unit dimension is “bottle only” as a general reference. The six-pack dimension includes cool-packaging and is approximate.